Kompakt, Glasstable, Life And Death new releases – Chain D.L.K. Clapz II Dogz is the collaboration between the rising stars Soul Clap and Catz N Dogz; together they have come up with a slow jam that is packed full of soul. It comes on a limited edition picture disc and look out for the familiar hip-hop sample. This record will not last long. We welcome Life And Death to our distribution family with remixes of the lead single “Every Minute Alone” from WhoMadeWho’s forthcoming full length “Knee Deep” out on Kompakt on April 25th. WhoMadeWho, Michael Mayer, and Tale of Us, need we say more? A Seth Troxler version is available digitally. 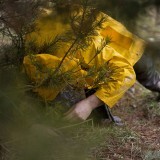 We also welcome Skylax Records today with “Routes Not Roots” from Dj Sprinkles Presents K-S.h. The Acker all-star Mollono.Bass returns with the first part of his three part series, “My Hidden Playground”. 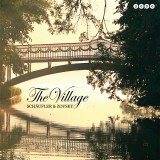 Schäufler & Zovsky’s album “The Village” was released last week and a four track vinyl extraction is now available. 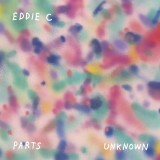 Disco fans beware, Eddie C is about to take you on a trip with his fresh addition to Endless Flight with “Parts Unknown”. Jennifer Cardini has maintained an eight year residency at Rex Club Paris. It only makes sense they chose her to mix the club’s second compilation. Her track selection is original, emotional, and fluid, just listen. 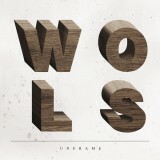 “Unframe” is the debut album of Russian duo WOLS. 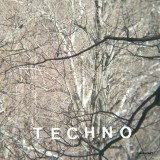 It’s dub-step, it’s trip hop, it’s techno, and it’s cool. 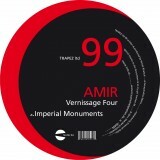 Trapez welcomes back Amir for their 99th limited release, “Vernissage Four” contains three house cuts with a remix from Remerc. Tickets for the KrautPopAmbient show at the Southbank Centre are beginning to sell fast. More info and ticket links can be found here. Also, the March edition of Radio Bongo is now available to stream and download, get it here. Have a great weekend! 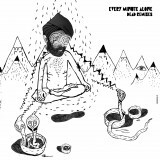 Soul Clap and Catz’ N’ Dogz with a hell of a soulful record. Picture disc + full cover – limited to 500 copies. Life and Death brings us two great mixes for WhoMadeWho produced by Michael Mayer and Tale Of Us. Lively, organic House record including hopping basslines, stimulating rhythms and hypnotic sound structures. 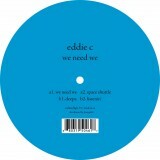 Edward Currelly aka Eddie C is producing loop-heavy disco grooves and cosmic rhythm sensations. An emotional and sensitive journey in which Jennifer comes to light with this intimate and very original selection. Terre Thaemlitz’ combines the notorious “Fagjazz” sound with the classic NY Deep House of DJ Sprinkles. Comes with a stunning Actress remix. Limited, and extremely collectible. “The Village” is rhythmically fuelled by casual House with a warm character, supported by dubby basslines. A great Dubstep-Electronica album that offers all the thrills you need for an exciting listening pleasure. A great Dubstep-Electronica album that offers all the thrills you need for an exciting listening pleasure. Including a download voucher ! With this new release, Amir has turned towards jacking House music even more than with his last releases. Welcome to the many faces of Eddie C. Krautrock House meets Space Disco meets soulful Downbeat stuff. ATTENTION: Important info for Panda Bear Reservations! Beatport will donate 100% of today’s net proceeds to Japan! Kompakt artist event schedule for this weekend! News: Battles Pick Kompakt’s WALLS for ATP Festival!